Dish served at the Swiss Lounge at Geneva airport ‒ Switzerland. The richness of the Inflight catering business is immense, passing by premiere menus for prestigious airlines, to on-board business solutions for intermediate and low-cost airlines. Our Executive Chefs know how to interpret the varied requests made by our customers and always seek to meet the needs of passengers by providing irreproachable quality of service. For example, the creation of prestige menus, the preparation work adapted to specific cultural, religious or medical requirements. The lounge is a place both to relax and to work. Lounges have special requirements both in terms of service and logistics. The refinement of the services must be in keeping with the airline’s image. Our Executive Chefs design and create tailor-made menus. We support our customers in their development strategies and have formed partnerships with Michelin-starred Chefs. 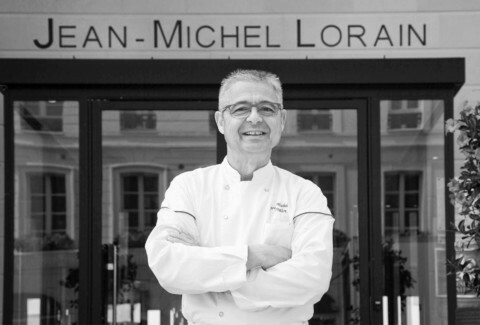 Jean-Michel Lorain, one of the Group’s partners for several years now, particularly as a creator of menus for prestigious airlines, designs the menu for the President of the ADP and the Club Charles de Gaulle. The expertise which he lends to our Chefs has led to the creation of an outstanding table. Michel Sarran has been supporting Newrest Wagons-Lits in its efforts to enhance the TGV offering since September 2016. 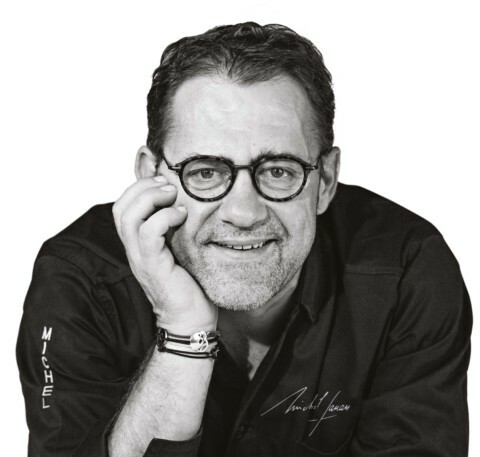 He designs and signs three ‘Bistro de Chef’ menus each year, from sandwiches to desserts to hot dishes, in order to tempt people to travel, to promote local products and to relive the flavours of his childhood. “Transfor’mets”, specifically addresses problems with chewing and swallowing in the elderly. True expertise adding to the wealth of experience of the Group: treat each client as a unique guest and offer personalized and tailored services. Newrest is the only company to work in all segments of the catering industry and its related services and it has a wealth of specialised know-how. Close collaboration between the Group’s talented experts enables our services to be refined with precision. Our Chefs are also able to rise brilliantly to the challenges of personalized menus for high-end catering in private aviation and to develop with our dieticians and nutritionists the “Transfor’mets”. This solution is a revolution in food for elderly care centres to address swallowing and chewing problems, a new innovation by Newrest.